This entry was posted in Browsers, Internet, Microsoft, Web Development by Ken. Bookmark the permalink. 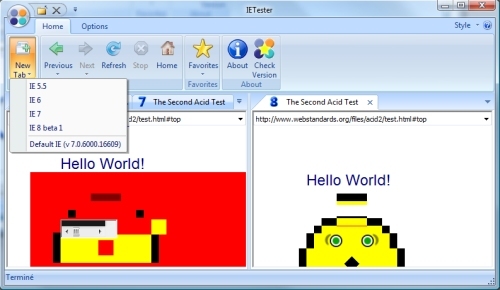 IETester is out. On Windows Seven it sometimes hangs or won’t start. I use for testing my web projects and it works fine and it’s free.